The response from the audience was chuckles and laughter at the joke. Indeed, you may also see some humour in this. No one should be above poking a bit of fun at themselves. The question we need to ask however is: what would our reactions have been if she swapped the words ‘older people’ for women, or blacks, or disabled people, or Jews? The fact is that it is somehow acceptable to discriminate against someone on the basis of their older age in ways which we would never dream of doing for other parts of society. The UK All Party Parliamentary Group on Ageing is holding a much-need inquiry into the rights of older people. The timing for this couldn’t be better because the rights of older people have long been sidelined and need greater attention. At its simplest, the reason why this inquiry is taking place, is that we need to reframe our perceptions of people as they get older. We need to move away from thinking of older people only in terms of needing welfare and being less capable, of being a drain on society. We need to give back to older people the respect and dignity we all expect to have in society at any age simply for being people, for being rights holders. It is helpful to have in mind the face of someone we know, or an image of a specific person whose plight has affected us. But it is also important to remember that this is not about one specific group of older people. This is about what happens to any person as they go through life’s journey. This is about the younger person of today and the preparations we make for the life they will lead when they get older. It is also about the older women and men of today who are not getting the social and healthcare or the financial protection they so desperately need. Nor is it only about older people here in the UK. 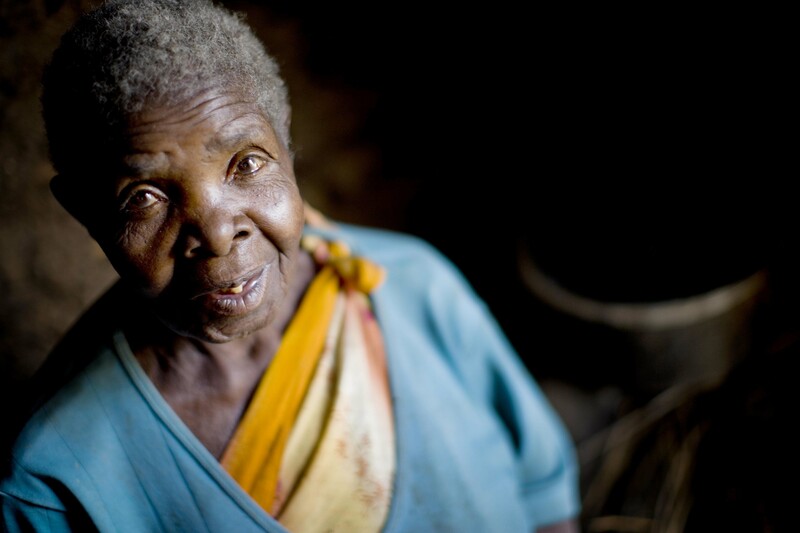 More than half of the world’s older people today live in developing countries and this will increase to 80% by 2050. We cannot discuss ageing or older people’s rights without taking into account where the vast majority of older people actually live. The need for strengthening the protection of human rights for older people is a daily reality for older people no matter where they live in the world. Ageism and age discrimination is pervasive and has damaging effects. Research shows us that demeaning and degrading attitudes towards older people actually has a physiological effect and reduces cognition – simply telling someone that they are less capable, or speaking to them in a certain way, can help make this a reality. There are many types of human rights abuses that older people face around the globe. Some are very familiar to us – financial abuse, the lack of economic security, being excluded from decisions that affect our lives; and some are extreme such as attacks with machetes against older women for being witches; or being kicked out of one’s home, or losing one’s property, for being a widow. Protecting human rights for older people also means recognising that a person’s right to health does not diminish with older age and that one’s health can continue to improve in later life. There is no automatic correlation between a person’s chronological age and their health and well-being. Yes, our bodies change and yes, living with multiple chronic conditions is a normal part of ageing – but so is being physically active, contributing to the life of one’s household, family and community. The World Health Organisation rightly identifies that all people should be treated as inherently capable and potentially vulnerable. How should our society tackle this issue? The real issue is how we respond as a society to these situations. This is the backdrop to the APPG’s inquiry – how do we respond? At an international level, a UN discussion is taking place about whether there should be a legally binding human rights treaty or convention that provides the clarity and motivation for governments to do more to protect the rights of older women and men. A convention has the support of many UN member states, but needs many more to become a reality. It is also about doing everything in our power today to ensure that the existing laws and measures get used to their fullest extent. Protecting human rights comes down to awareness, treating people with respect, having the right laws and making sure they get implemented. We are hopeful that the APPG’s inquiry can make a useful contribution for bringing this about. The ‘ automatic correlation between a person’s chronological age and their health and well-being ‘ is an attitude which we have to confront frequently mainly from our contemporaries. I am eighty six and until a couple of years ago have enjoyed reasonable good health until I had a severe attack of sciatica. I was determined to ‘get better’ and had a great deal of support from health professionals and my family but found that to many my hope for recovery was considered foolish ‘What else can you expect at your age?! !’ NO! I don’t expect it .I have a future, hopes and unfufilled dreams. This demeaning attitude erodes confidence in our own abilities and fundamental self belief. The remaining years of our lives are not just for killing time. With encouragement they can be an exciting time of self discovery and achievement. Mary, thank you so much for sharing your experience, which I am sure will resonate with many others who face similar demeaning ageist attitudes. There is no room in our society for discrimination of any sort. I am sure that your courage will be an inspiration to others.